Amblyopia is a condition wherein your child’s visual pathways fail to develop normally despite not having any pathological anatomical abnormalities. It can be caused by one of four things or a combination thereof. The vision can fail to develop due to deprivation of sight from a drooping eyelid or eyelid mass. Another cause could be from the brain’s capacity to suppress vision out of one eye to avoid double vision when the eyes are not aligned correctly. It can also arise from not having a clear formed image due to a high need for significant spectacle correction or a large difference in the prescription between the two eyes. When early intervention is implemented, favorable outcomes can often be achieved and we can ultimately obtain functional vision in the amblyopic eye for your child. 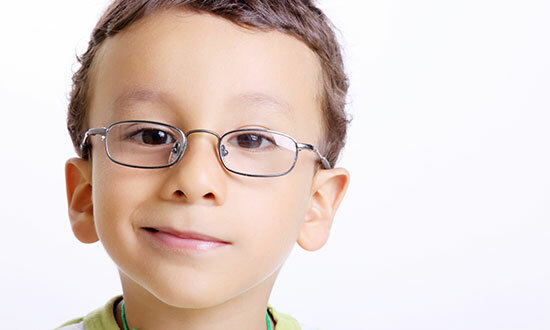 The treatments can range from surgical, to the placement of eye drops (chemical patching), to utilizing physical patching therapy, or merely getting your child in the correct prescription eyeglasses. Therefore it is of great importance to bring your child in for an early exam and consultation if you feel that your child’s vision is questionable or compromised in any way. The sooner they begin therapy the more encouraging the outcome.